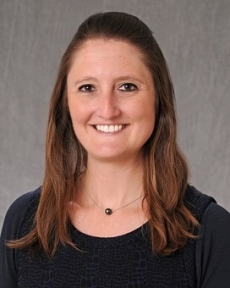 DC CFAR investigator, Rebecca Lynch, PhD, was recently awarded an R21 from the National Institute of Allergy and Infectious Diseases (NIAID) at the National Institutes of Health (NIH) entitled, "Effects of Boosting Mucosal Immunity by Microbiota Manipulation on B Cell Responses to the HIV-1 Vaccine". This grant builds on work from Dr. Lynch's CFAR Pilot Award, "Elucidating the commensal-HIV reactive antibody repertoire in Rhesus macaques". This project will look at the effects of manipulating the microbiome on the response of antibodies to vaccination. Dr. Lynch hopes the data generated from this project will provide critical new information regarding the role of the mircobiome in adjuvant design and vaccine response, as well as provide the rationale for ongoing clinical trials involving mircobiome alteration.